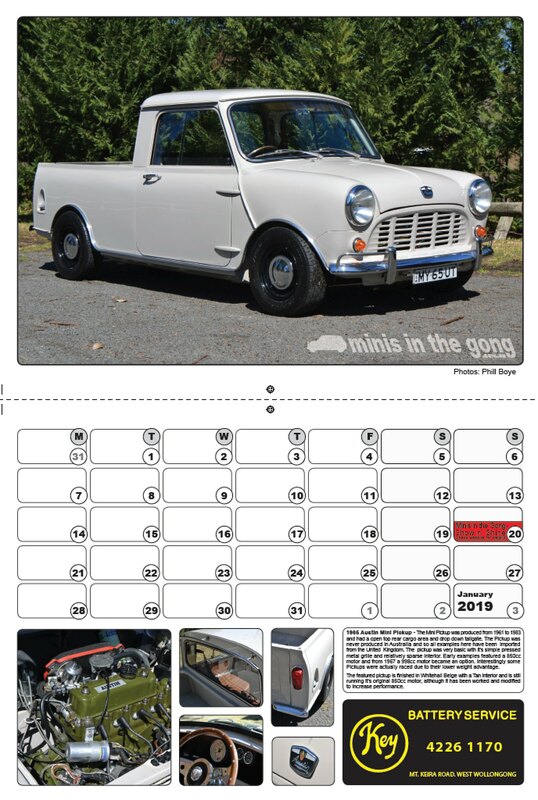 The latest 2019 Minis in the Gong Calendar is now available. They make a great Christmas gift for the Mini fanatic. Limited print run of 150 at this stage so don't miss out. Those who ordered last years copy will know they are a quality full colour double A4 size opened. 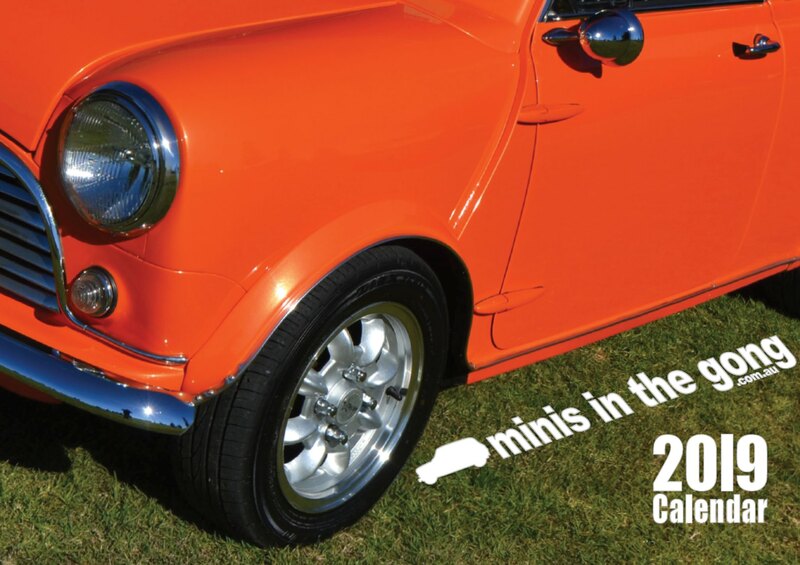 Most of the cars are Australian Classic Mini. There is everything from Leyland MiniS and Mini Clubmans to Mini Van, Modified Minis, Cooper S, an English Mini Ute, Nb Race Minis. Mini Moke and more. Profits from Calendar sales help us to pay for maintenance of the website and to cover free events during the year such as our Annual Show and Shine. In 2019 we hope to donate most of the remaining funds to a charity which will be announced at a later date. There are a couple of options for ordering including via our site and on eBay. If you are a Wollongong local there is even cash pickup available.